Every Saturday night from 7 until midnight, Today’s Country FX 101.9 calls on Country music fans of all ages as we air Saturday Night Classics. Take a trip back to Country’s roots with the greatest Country hits from the 70s, 80s, and 90s, during this 5-hour show. Listen for all your favourites from Eddie Rabbit, Tanya Tucker, Alabama, Reba, Conway Twitty, George Strait, Garth Brooks, Vince Gill, Dolly Parton, Willie, Waylon, Merle Haggard, Barbara Mandrell, Ricky Skaggs, The Oakridge Boys, Tammy Wynette, Johnny Cash, and many more! 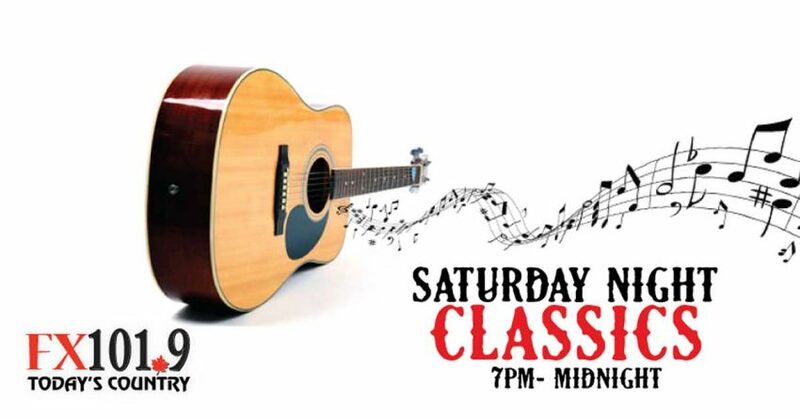 They’re all here on Saturday Night Classics – a great way to kick-start your Saturday night with FX 101.9.